While money can make your life infinitely better and easier, simply having a full bank account doesn’t automatically mean that you’re successful. It may not even mean that you’re happy or fulfilled. After all, the old adage “money can’t buy happiness” exists for a reason. Money can buy you comfort and security, but if you’re looking for financial or career success, it’s also important to find a career you enjoy doing. There’s nothing quite as nice as getting paid for doing something you love. As this quote suggests, sometimes changing your outlook can mean changing your entire future. For instance, if you have a financial situation that is stressing you out, changing the way you approach it may be the answer to the problem. You may have to think of a different approach to marketing your new business or tackle your mounting debt with an optimistic attitude instead of a pessimistic attitude. Very few things in life come easily, and this quote is a reminder that most goals worth having are the ones you have to work hard to achieve. Financial goals are often the hardest goals to achieve, but it’s important to remember that you won’t reach them if you don’t put in some effort. 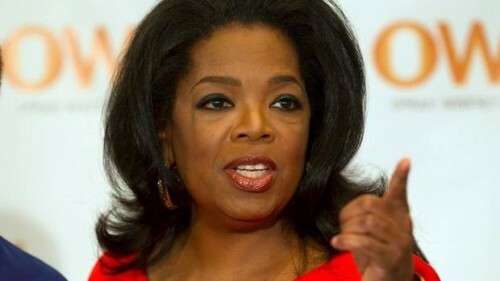 Oprah reminds us that while financial success can be great for our personal lives, it also allows us to give back to family, friends, acquaintances, and even strangers. This can take the form of offering a loan to a friend in need or offering discount products to customers if you own a business. Achieving personal financial success is a wonderful thing, but supporting others in that same endeavor can be just as wonderful. Money isn’t always everything. It’s important, of course, but this quote serves to illustrate the idea that sometimes happiness can be more beneficial to your well-being than money. As stated above, money can be important for your personal security, but it’s also important to find something you love to do regardless of whether or not it provides you with millions of dollars. At some point in all our lives, failure is inevitable. But failure does not have to mean the end of the road. Having to close your business or foreclose on a home, for instance, is an awful experience to endure, but instead of dwelling on it, you should use that experience as a learning experience. It’s important to know that you are the only one responsible for your fate. You may have friends and family members helping you out, but at the end of the day, you are responsible for your well being and your future. Oprah came from a difficult background and worked hard to get where she currently is, and this is a lesson most of us can take into consideration. Many of us will have to work hard to achieve personal or financial success instead of relying on someone to hand it to us. The term “luck” is often thrown out when people discuss financial success. However, as this quote insinuates, luck is often combined with preparation and opportunity. Or, in other words, some people’s luck is just knowing a good opportunity when they see it and be prepared to take advantage of it. Whether this is deciding to buy a home or deciding to finance a big purchase, it’s also best to be prepared and know what you want. Sometimes, we all need to appreciate the assets and items we do have instead of trying to lust after the items we don’t own. For instance, lusting after a luxury item is all well and good, but going into debt just to buy it because you believe it will make you happy isn’t a smart decision. Wanting to improve your financial situation is great, but sometimes it’s also important to know when to stop and settle for what you currently have. This quote by Oprah is perhaps one of the best lessons we can all take into consideration. For instance, when trying to start or sell a business, it’s sometimes much better to be yourself than put on a fake persona. Or, on a different note, it’s better to be true to yourself when it comes to your financial goals. Money and trust may have two different definitions, but money cannot exist without trust. Allow us to explain. In historical times, the barter system was used before money was even invented. Individuals exchanged goods or services for things they needed or saw value in. In order for this system to work, you need to want what the other person has or is offering. When money did start coming around, it was physical in the form of gold or silver coins. People valued these precious metals, but soon, money began evolving into paper bills then data on a computer. 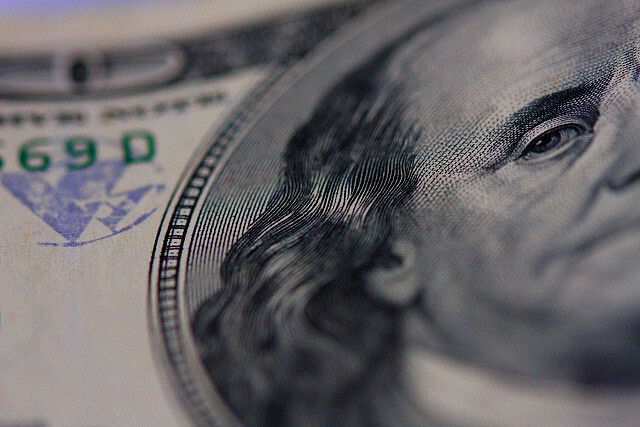 Now that money occurs primarily as a digital record, it has evolved much more into a symbol than when it began. It really has no productive use physically speaking; you can’t eat money or build shelter with dollar bills. In fact, the United States Federal Reserve currently holds $1.46 trillion in circulation in the form of bills and coins. Everything else is an electronic record. In order for money to function this way, it needs a strong level of trust and cooperation. When you review your bank account, you trust that the statement reads true. The same goes for our assets. Stocks and bonds are held in digital forms, but individuals are confident that someone is liable for them. This trust is not only within homes, but with businesses as well. You expect that when you want to cash out, so to speak, that you will be able to do so at any time, that the money exists as it is recorded. What happens when we lose trust? When trust goes to the wayside, society begins to lose function. If faith is lost in the establishments in charge of money, businesses and individuals want to collect their physical money in order to feel secure. Some of you may be able to relate to this from recent years during the 2007-2009 global financial crisis. And as this happens and people begin spending less, deflation occurs. In other words, the value of money increases, and the value of goods and services decreases. We cannot progress solely on a barter system. It is one of the reasons why currency was invented. Thus, we need to have that assurance and cooperation when it comes to our money. How do we lose this trust? Even if you do not pay attention to the news, we are sure you are familiar with the recent terrorist attacks over the years. Understandably so, when these attacks happen, the level of trust is low and fear begins to take over. It is during these times that the initial reaction is to unfortunately limit the liberties and freedoms of individuals in an effort to increase the protection of the public. However, if, for example, Paris continued to be on lock-down long after their November 2015 attacks, the city would begin to crumble. It would have a huge negative economic impact. Although there is always risk, the trust needs to remain intact. It is imperative that, as a whole, we continue to find a balance between security and our personal freedoms. Find balance within your own finances as well. Life is all about balance, and while you should not hold on to all your money physically, you should also not have all your valuables in a digital form either. Money and trust takes work and strategy. Maintain some assets that are not through a computer or a stock broker. Keep physical goods that are useful and efficient as well as physical cash in the case of another nationwide financial emergency. If there were to be a breakdown, you can feel secure knowing you are prepared. The more people that feel secure, the more society and the economy can continue to be sustainable. Money and trust need to go hand in hand in order for currency to continue to work properly. If we can all get on board with this concept, these two can continue to coincide and cooperate. Do you keep any physical assets? What are your thoughts on the topic of money and trust? Keep the conversation going in our forums. The term “luck” is often thrown out when people discuss financial success. However, as this quote insinuates, luck is often combined with preparation and opportunity. Or, in other words, some people’s luck is just knowing a good opportunity when they see it and being prepared to take advantage of it. Whether this is deciding to buy a home or deciding to finance a big purchase, it’s also best to be prepared and know what you want. I have both liberal and conservative friends, and they have completely opposite views as to whether what Phil Robertson from Duck Dynasty said about gays was right or wrong. That issue can be debated for hours, and I’m sure that it will continuously be debated with vigor over the next few weeks. What I haven’t seen mention is that from a teaching what’s important about money prospective, what the Duck Dynasty clan did was the correct move even if you don’t agree with what Phil Robertson said. 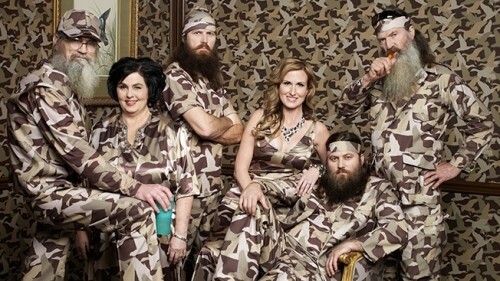 Duck Dynasty is a financial juggernaut that basically prints money. It’s estimated that the family earns about $200,000 per episode, and huge amounts more on product licensing from the show. When the A&E network suspended Phil Robertson for the comments he made in GQ magazine, their intention wasn’t to stop the show or the money flowing, it was to keep the show running without one of the cast members for a period of time. By taking the stand that they were not willing to work without their patriarch, the family told the world that one if its members was more important to them than the money from the show. Think about it. By foregoing the show, the Duck Dynasty clan is turning its back on over a million dollars. Yes, they are already wealthy and they’ll do fine without it, but that’s still a lot of money to say “no thank you” to in order to make a point. My guess is that after A&E made the suspension announcement, the family got together and there was a long and heated discussion on what course of action they should take. On one side was the financial perspective that the show earned them a lot of money and it would be stupid to give it up, while on the other side was their convictions and loyalty to family. In the end, they chose their convictions and family over money. Isn’t that the lesson that we try to teach our children about money? We want them to know that in order to make money, they shouldn’t be willing to compromise their core beliefs. We try to teach them that money isn’t everything and when given a choice, they should stand by their principles over selling out for the money. Again, whether or not you agree with what Phil Robertson said, the Duck Dynasty clan made the correct choice to stand on the principle of their beliefs over earning more money. While the debate over the words will continue to rage on, it’s too bad that this money lesson will likely be lost over the shouts of who’s right and who’s wrong. With all the greed on Wall Street and society seemingly moving toward an acceptance that it’s OK to do almost anything in the pursuit of another buck, it’s nice to see a family choosing to stand by their family member over the temptation of more money. Wouldn’t it be great if that was a lesson which could internalize and taken away by everyone no matter what side of the debate they happen to be on?